Throughout my career at Starbucks, I've become a firm believer that absolutely anyone can find something on the menu they'll love. The only problem is that unless you're a barista or are fully prepared to quiz one, you might never learn about some of the options available to you as a Starbucks customer. 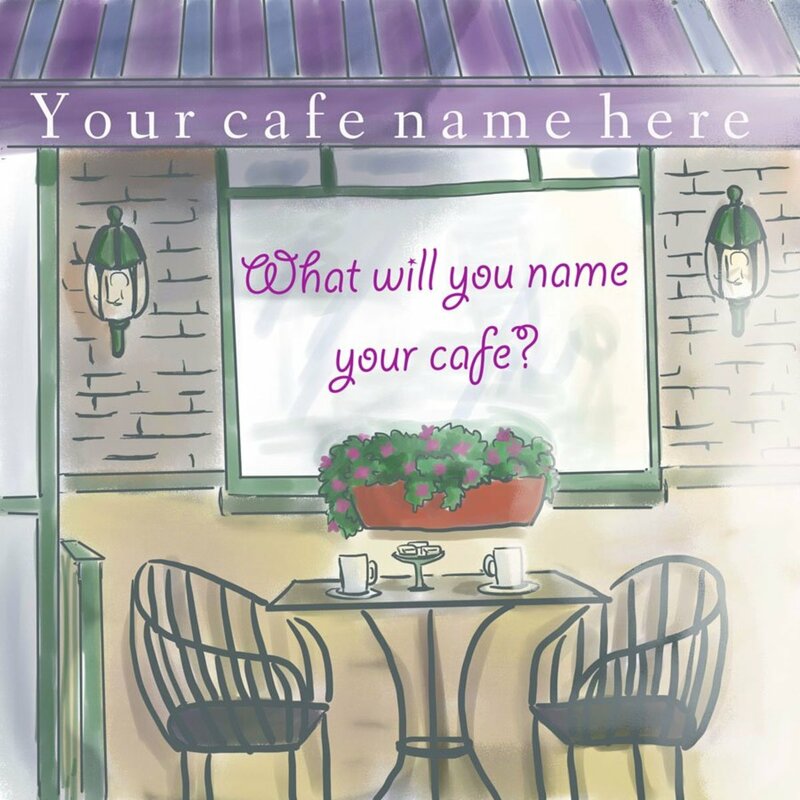 It was with this in mind that I decided to launch a series of guides covering not only what's on the Starbucks menu, but what's available off it, too. 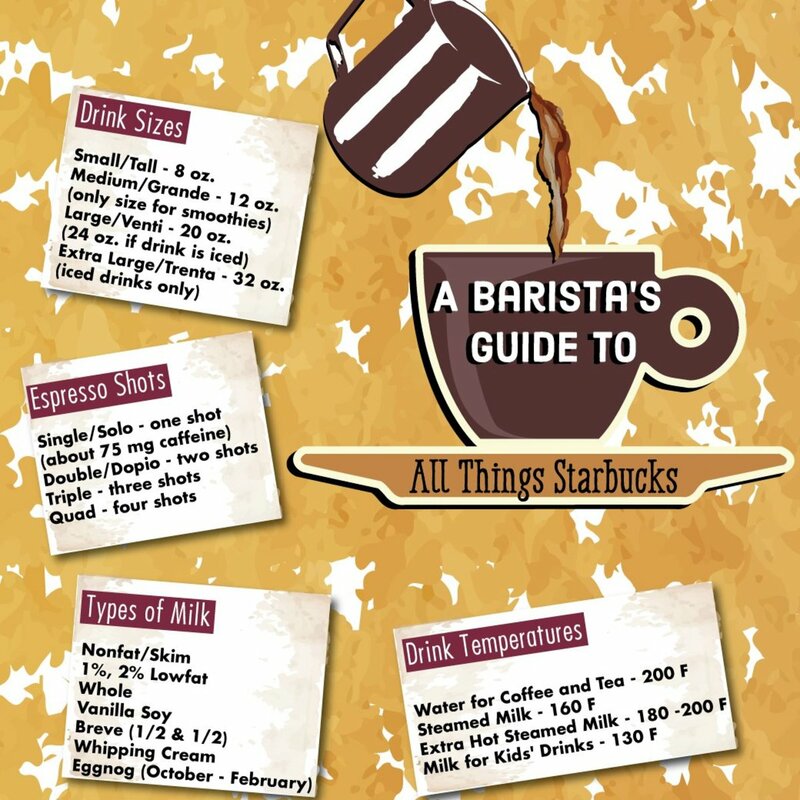 If you're totally new to the Starbucks experience, I recommend starting off with the first part of my guide, which covers the basic terms and sizes of Starbucks drinks. In the previous installment, I discussed Blended Creme Frappuccinos. Keeping in the theme of blended beverages, I'm now going to cover the smoothies on Starbucks' menu. When I think of a smoothie, the first thing that pops into my head is a very sweet, creamy, fruity beverage. I think about the types of smoothies places like Cold Stone or Orange Julius offers. When I make my own smoothies at home, I always find myself adding sweetened yogurt or even splenda to my fruit mixes to satisfy my sweet tooth. Starbucks smoothies aren't like those drinks. 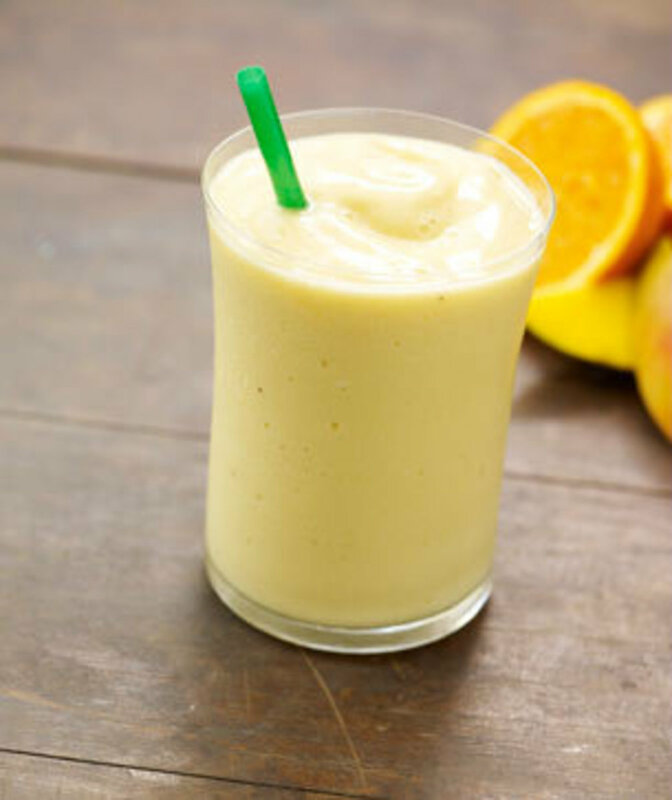 They are absolutely smoothies by the normal definition of the word, but unless you add sugar or a sugar substitute, don't expect to have your sweet tooth satisfied. All Starbucks smoothies are made with two scoops of a protein powder and while I wouldn't consider the taste of it totally overwhelming, (like, for example, when compared to a protein meal bar,) but the addition of the protein not only thickens the drink, it manages to make it less sweet. 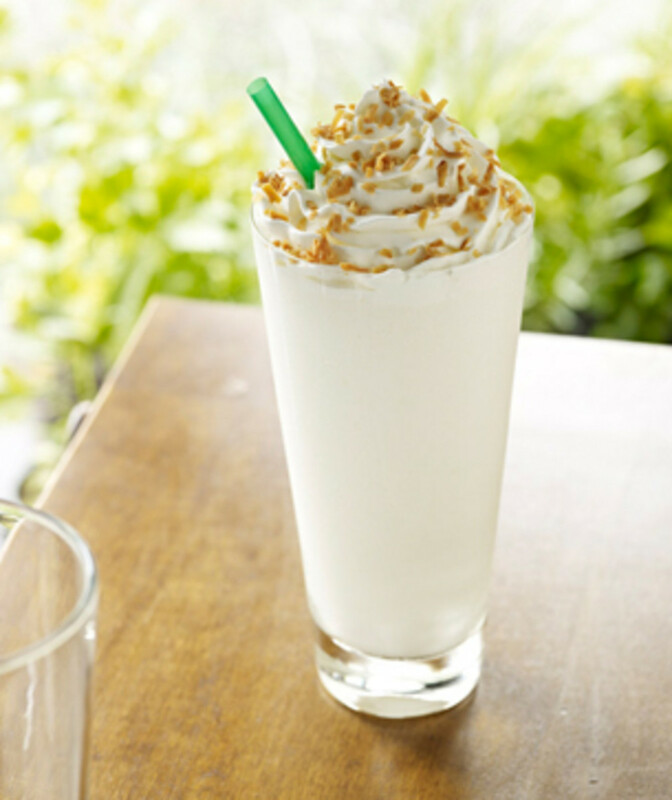 The focus of Starbucks smoothies is to make a refreshing and healthy beverage and they've definitely hit the mark. Along with the protein powder, Starbucks smoothies are all made with one whole banana. In some markets, fresh bananas are available and definitely make the drink all the better, but there are a lot of places where baristas only have access to frozen bananas. I wouldn't let the difference between a frozen or fresh banana totally change your mind about ordering a smoothie, but the taste isn't the only reason a fresh fruit is better - the frozen bananas can have the tendency to be harder to blend, which often results in a thicker smoothie and a longer wait time. Starbucks smoothies are ONLY available in one size - grande. 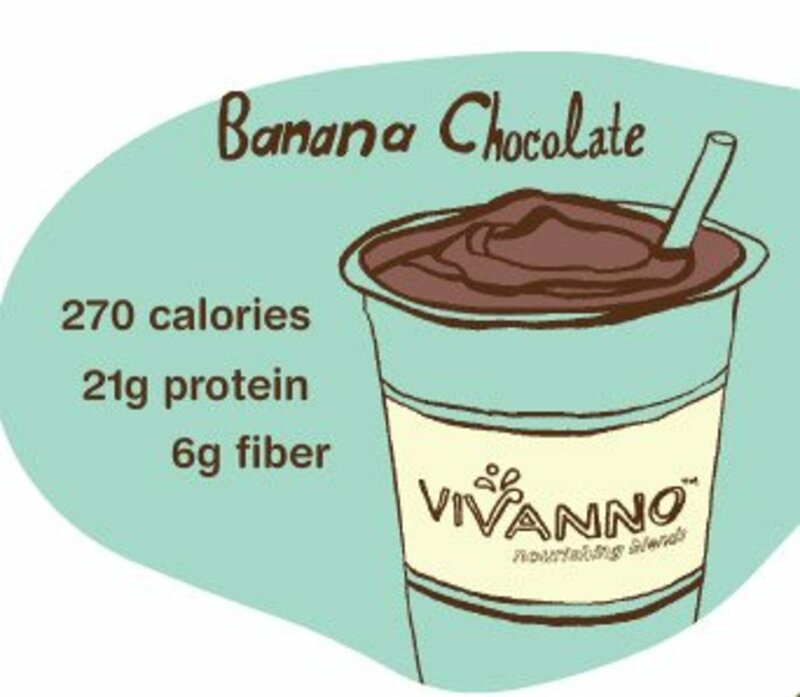 They also used to be billed as Vivanno smoothies and while Vivanno is no longer a word Starbucks uses, you can still order them as such. The protein powder that Starbucks uses actually also contains about 1g of fiber per scoop (so, 2g per smoothie in addition to the fiber in the banana and fruit purees.) This powder is made from whey and subsequently contains some dairy. While you can take the milk out of the smoothie recipes, to get a truly dairy-free version, you'd also have to eliminate the protein powder. You can add Starbucks' protein powder to any beverage you'd like. I actually serve a lot of regular customers that add it to their lattes for the health benefits. I'd consider it an acquired taste, but as I've said, it isn't as strong as other protein substitutes I've tasted. There are three different flavors of smoothie available on the Starbucks menu; Orange Mango, Strawberry and Chocolate. Keep in mind that all three smoothies come with one whole banana and two scoops of protein powder. I prefer a little bit of extra sweetness to my smoothies, so I'd recommend experimenting with the sweeteners Starbucks has to offer. I personally prefer adding splenda and cutting back on the amount of protein powder. The same strawberry puree that is used for the Strawberries and Creme Frappuccino is the main ingredient in Starbucks' strawberry smoothies. 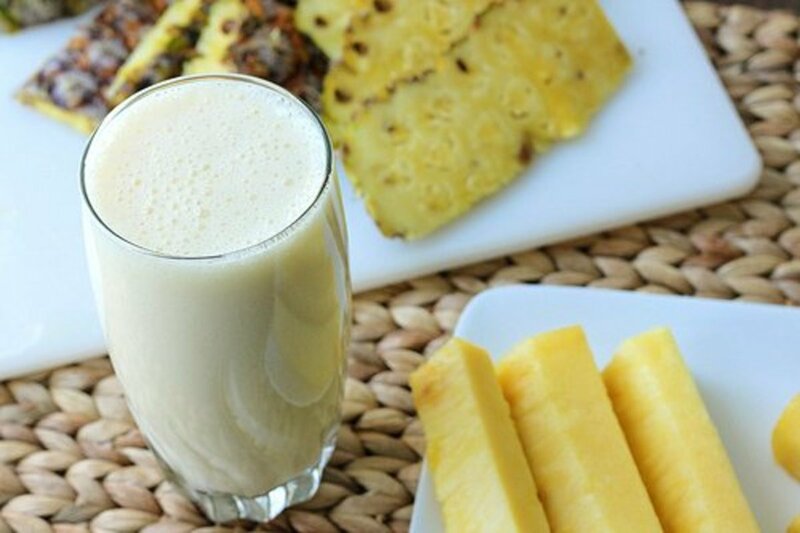 This is made just the same way as the orange mango with protein, a banana, a splash of 2% milk and ice. Of course, the milk can be substituted to any kind you'd like, including soy. My favorite way to drink smoothies is by doing away with the milk altogether - instead, I order a strawberry smoothie with orange mango puree instead of the milk. As a barista, I have the luxury of drinking for free and there is usually an extra charge for adding extra fruit puree. 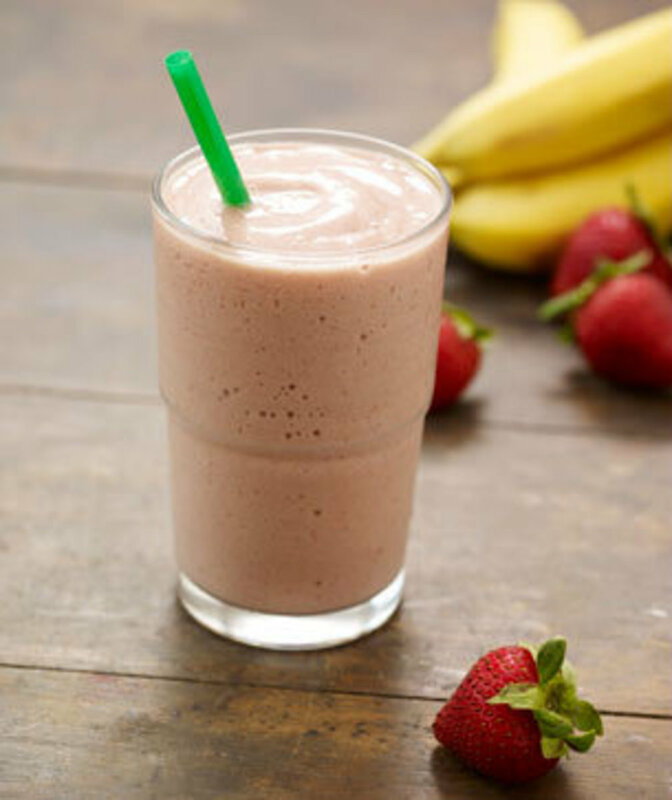 Another popular twist on the Strawberry Smoothie is adding matcha powder to the mix. Matcha is ground up green tea leaves with sugar added, so it adds a touch of sweetness to the smoothie. My usual smoothie is strawberry, orange mango and matcha. The Chocolate Smoothie is just a bit different than the other two. 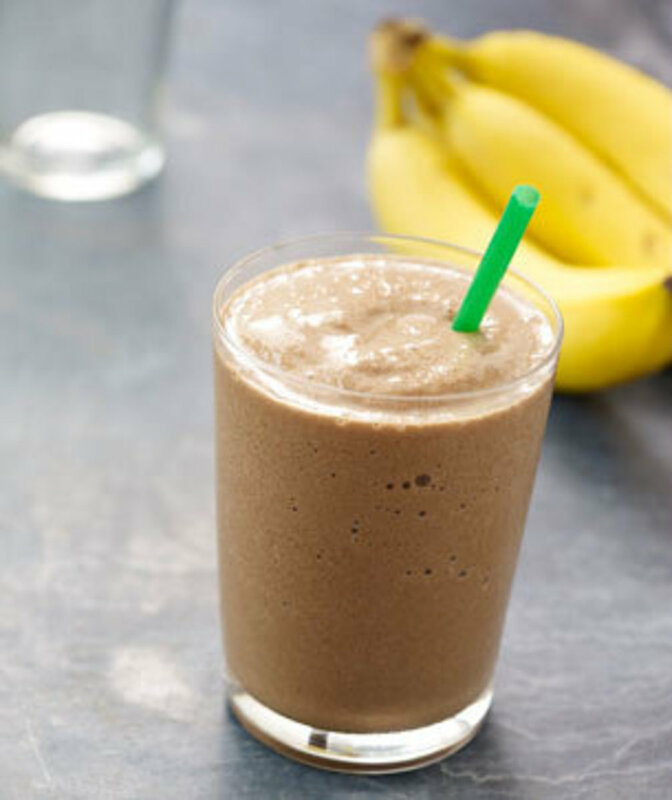 Instead of having any fruit puree, its made from mocha syrup, milk, protein, a banana and ice. It has more milk than the other two and is a touch sweeter. However, keep in mind that mocha is more of a dark chocolate - it's not super sweet. 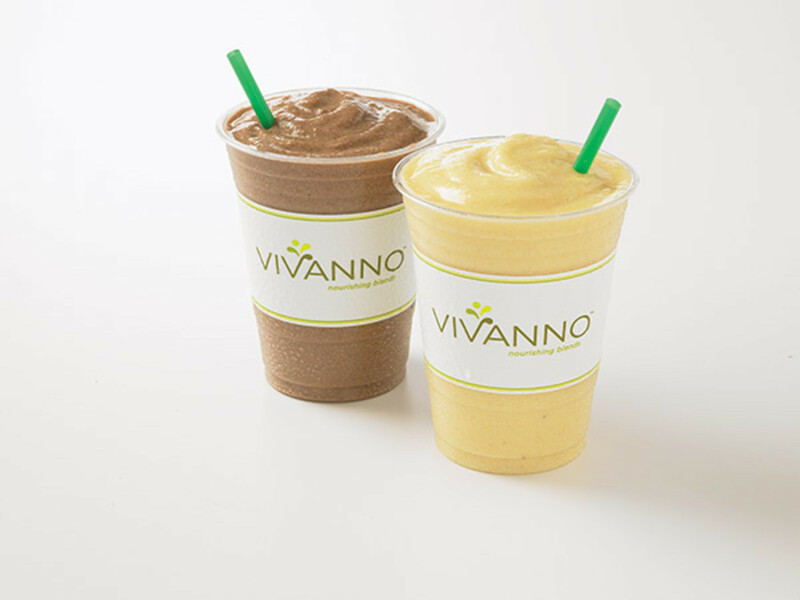 The most popular way to customize the Chocolate Smoothie is to substitute Soy milk for the regular 2%. Since Starbucks uses a vanilla soy, it adds a touch of sweetness to the drink and obviously some vanilla flavor. 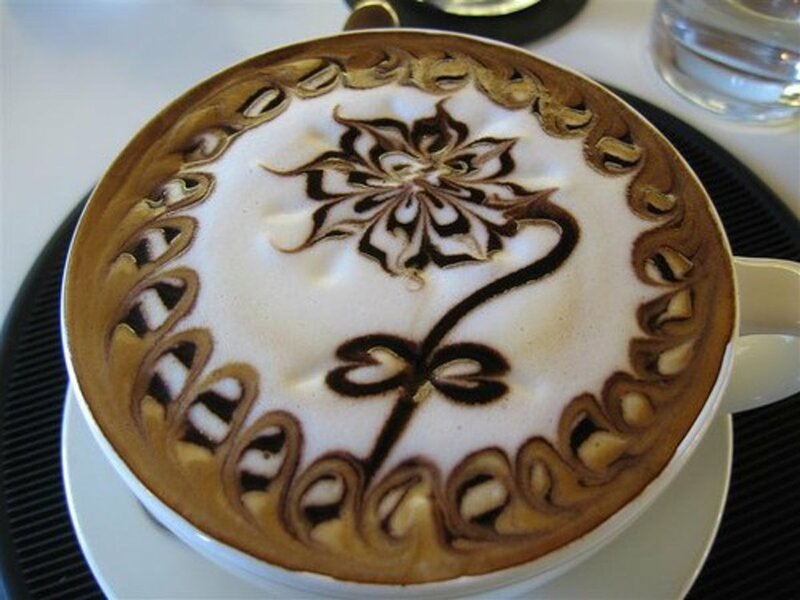 The Chocolate Smoothie can be uniquely customized by adding shots of espresso. While you technically could add espresso to the other flavors, I promise it tastes awful. However, the espresso goes very well with the mocha and banana flavors. While this drink isn't really a smoothie, I felt it would fit best into this part of the guide. The Strawberry Blended Lemonade is something like a hybrid between a smoothie and a Frappuccino, though it does not contain any dairy. This beverage is made from a mix of lemonade and strawberry puree and it is thickened and sweetened with the Frappuccino Creme base. Traditionally, lemonade is added first which means there is more lemonade than strawberry in the mix. A very popular twist on this drink is to have it upside down - a term usually reserved for Caramel Macchiatos, but it sort of applies in this situation. By upside down in this case, I mean that there is more strawberry puree in the mix than lemonade. The recipe for the Strawberry Blended Lemonade has changed a few times since I've worked at Starbucks. 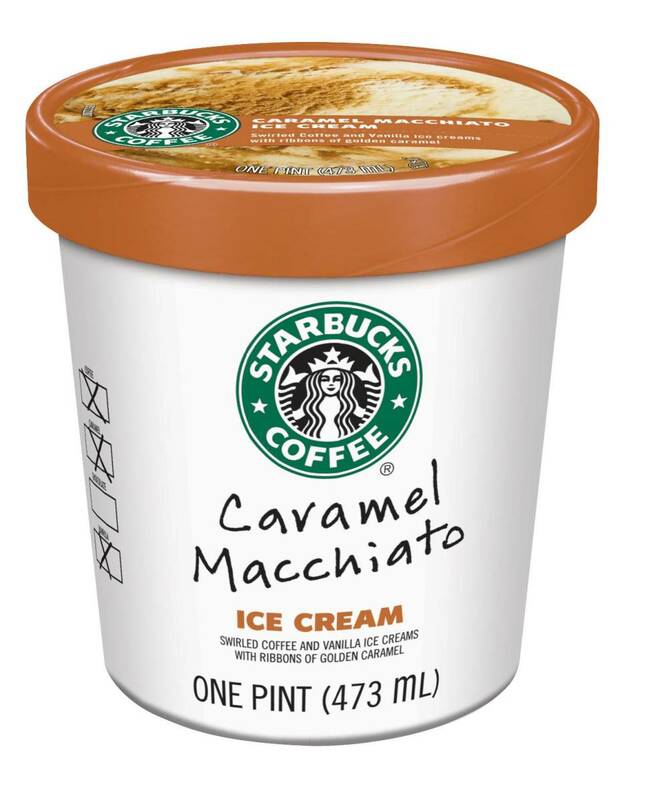 It used to contain pumps of classic syrup (3-4-5 for tall, grande, venti,) but when the Frappuccino Creme base was added, Starbucks thought this made the drink too sweet. If it's too tart for your liking, I'd certainly recommend trying it with some classic syrup added. Alternately, you can always try one of the other sweeteners like splenda or equal. And that covers all of the blended items on Starbucks' menu. Thanks so much for reading! I hope you found some useful information here. In my next installment, I cover the basics of ordering a cup of coffee from Starbucks. I bought a tumbler from star bucks and I am a member, can the tumbler be used for cold drinks? I tried to make a Secret Menu themed hub, but it was hard to do without coming off too promotional of the site. Maybe I will have to try again! The best way to order items from the secret menu is to read off the recipe to the barista. We're generally happy to do it, but we don't have the recipes on hand at all. You can just bring it up on your phone and show it to us, we don't mind! So I saw the secret menus for a berry smoothie,how can I order it without souding rediculas? 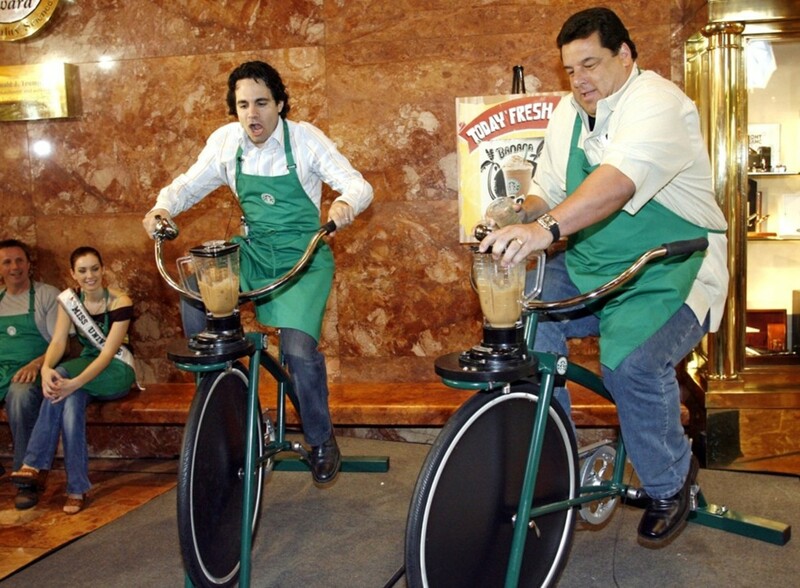 In answer to your question about the very last pic, those bicycle-like devices are actually mobile frappucino makers :) Just pedal your heart out for creamy goodness. They used to be brought out for events and such.